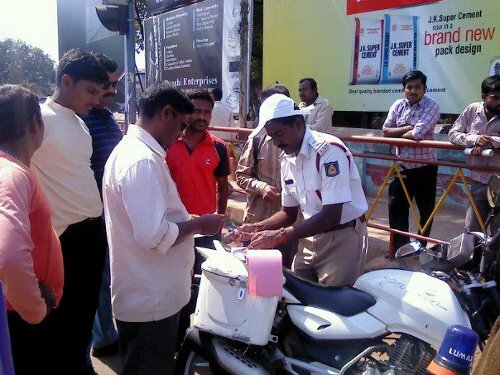 Superintendent of Police of Belgaum Chandra Gupta said in a release said that the Belgaum City police over the past 60 days in a special drive against faulty number plates and riding triple on two-wheelers have registered 2,375 cases and collected a fine of Rs. 2,37,500 from offenders. 2 Interceptors and 11 blackberry enabled machines were used by the police for the same.